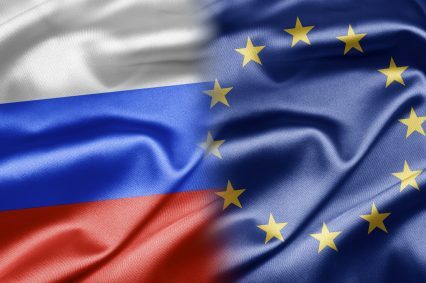 A group of Russian banks have issued statements indicating they have submitted claims before the General Court of the European Union in opposition to EU sanctions. Sberbank’s claim, case number T-732/14’s Sberbank of Russia vs Council, was registered on October 23, 2014. On Friday last week, a statement from Sberbank said that the bank had “turned to the Court of the European Union with a claim on reversing the decision of Council of the European Union on the implementation of limitation measures against Russia toward the bank”. “VTB Bank has also challenged sanctions in Court of Justice on 24 October filed a lawsuit with the Court of Justice of the European Union to challenge the EU Council’s decision to impose sanctions on VTB, to the detriment of both the bank and its clients. Russia’s annexation of Crimea and support for separatist rebels were first met with travel bans and asset freezes in March 2014, but increasingly heavy trade sanctions on Russian banks Sberbank, VTB, VEB, Russian Agricultural Bank and Gazprombank were imposed in Q3 2014. Earlier this month, Russian economic development minister Alexei Ulyukayev said the Russian government would continue to support several large Russian banks hit by the sanctions. Commenting on the cases filed to date by individuals in relation to the sanctions, a source from the court confirmed to GTR that there have been a number of claims received by Ukrainian individuals, but only two claims, both from the same individual, stemming from Russia. The Russian in question is Arkady Rotenberg, the 552nd richest man in the world, who is currently contesting an asset ban, which has limited his firms’ financing abilities in the European markets, and travel restrictions in cases filed on October 10, 2014. GTR’s source said that the court would not be issuing a statement in regards to the details of any claims brought forward by Russian banks. Russian Agricultural Bank and Gazprombank could not be reached for comment on whether they too have filed similar claims.